Inox Leisure is currently trading at Rs. 278.00, up by 5.85 points or 2.15% from its previous closing of Rs. 272.15 on the BSE. The scrip opened at Rs. 272.70 and has touched a high and low of Rs. 284.00 and Rs. 272.00 respectively. So far 5870 shares were traded on the counter. The BSE group 'B' stock of face value Rs. 10 has touched a 52 week high of Rs. 305.85 on 25-Apr-2017 and a 52 week low of Rs. 193.00 on 26-Dec-2016. Last one week high and low of the scrip stood at Rs. 285.60 and Rs. 267.90 respectively. The current market cap of the company is Rs. 2630.40 crore. The promoters holding in the company stood at 48.70%, while Institutions and Non-Institutions held 32.11% and 19.19% respectively. Inox Leisure has commenced the commercial operations of a multiplex cinema theatre, taken on license basis, and located at Reliance Mega Mall, Old Dalal Market, Laxmipuri in Kolhapur with effect from November 29, 2017. The said multiplex cinema theatre has 4 Screens and 870 seats. INOX is now present in 59 cities with 121 Multiplexes, 485 screens and a total seating capacity of 1,20,204 seats across India. 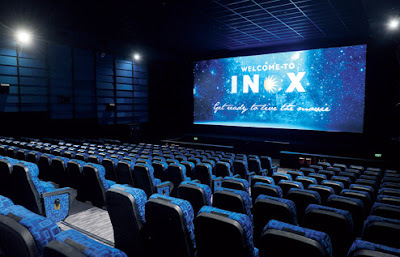 Inox Leisure is one of the fastest growing multiplex chains in the country, building and managing multiplex cinemas throughout India. 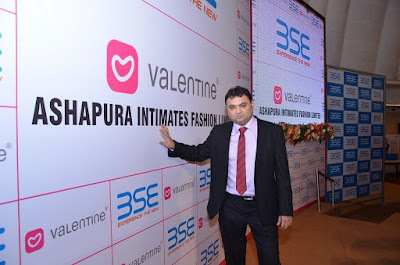 Ashapura Intimates Fashion has received an approval for raising of funds through issue of American Depository Receipts / Global Depository Receipt/Foreign Currency Convertible Bonds up to Rs 250 crore and delegation of powers for the said purpose to the allotment committee. The board of directors at its meeting held on November 30, 2017 has approved for the same. The board also approved to issue Commercial Papers up to Rs 50 crore on Private Placement Basis and delegation of powers for the said purpose to the allotment committee. Ashapura Intimates Fashion is engaged in the business of designing, branding, marketing and retailing of intimate garments through a well developed & wide distribution network and undertakes sales through organized retail chains and own outlets. South Indian Bank is currently trading at Rs. 33.25, up by 0.40 points or 1.22% from its previous closing of Rs. 32.85 on the BSE. The scrip opened at Rs. 32.95 and has touched a high and low of Rs. 33.45 and Rs. 32.55 respectively. So far 2120521 shares were traded on the counter. The BSE group 'A' stock of face value Rs. 1 has touched a 52 week high of Rs. 33.45 on 30-Nov-2017 and a 52 week low of Rs. 16.83 on 26-Dec-2016. Last one week high and low of the scrip stood at Rs. 33.45 and Rs. 30.85 respectively. The current market cap of the company is Rs. 6013.29 crore. The institutions and non-institutions held 50.17% and 49.83% stake in the Bank, respectively. 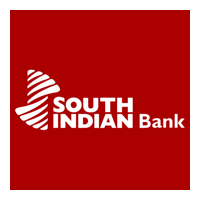 South Indian Bank has allotted 49,000 numbers of Non-Convertible, Redeemable, Unsecured, Basel III Compliant Tier 2 Bonds, for Inclusion in Tier 2 Capital of the Bank in the nature of debentures of the face value of Rs 1,00,000 each at par aggregating Rs 490 crore with interest at 9.50% per annum payable half yearly for a period of 126 months. The said Non-Convertible, Redeemable, Unsecured, Basel III Compliant Tier 2 Bonds shall be listed on BSE. The Bank has reported 96.09% fall in its net profit at Rs 4.32 crore for second quarter ended September 30, 2017 under review as compared to Rs 110.52 crore for the same quarter in the previous year. However, total income of the Bank increased by 13.82% at Rs 1816.67 crore for Q2FY18 as compared Rs 1596.08 crore for the corresponding quarter previous year. The Bank’s gross NPA for the July-September quarter of the current fiscal improved to 3.57%, as compared to 3.96% in the same quarter of the previous year. Besides, Bank’s Net NPA stood at 2.57% in Q2FY18. Larsen & Toubro (L&T) is currently trading at Rs. 1219.00, up by 1.70 points or 0.14% from its previous closing of Rs. 1217.30 on the BSE. The scrip opened at Rs. 1220.00 and has touched a high and low of Rs. 1220.00 and Rs. 1209.20 respectively. So far 31,000 shares were traded on the counter. The BSE group 'A' stock of face value Rs. 2 has touched a 52 week high of Rs. 1274.00 on 10-Nov-2017 and a 52 week low of Rs. 868.43 on 23-Dec-2016. Last one week high and low of the scrip stood at Rs. 1230.00 and Rs. 1209.10 respectively. The current market cap of the company is Rs. 1,70,785.00 crore. The Institutions and Non-Institutions held 57.51% and 42.49% respectively in the company. Bangladesh Power Development Board (BPDB) has awarded the contract for setting up Bibiyana South 400 MW Combined Cycle Power Plant Project to a consortium of Larsen & Toubro (L&T) and Samsung C&T Corporation of South Korea. L&T shall be executing the EPC contract valued at around $250 million. This 400 MW gas based power plant will be located at Bibiyana Upzila in Hobiganj district of Sylhet division in the north-eastern sector of Bangladesh, around 215 km by road from Agartala in India. L&T's scope includes design, detail engineering, supply, installation and commissioning of the complete power plant on a turnkey basis. The plant will incorporate state-of-the-art Single Shaft Advanced Class Gas Turbine, Steam Turbine and Generator from Siemens AG of Germany, which will be procured by L&T. L&T-Sargent & Lundy, a joint venture company of L&T and Sargent & Lundy LLC, USA, will carry out the plant integration and detail engineering, using propriety technology of Sargent & Lundy. Larsen & Toubro is a major technology, engineering, construction, manufacturing and financial services conglomerate, with global operations. 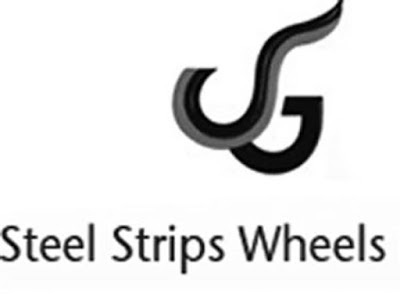 Steel Strips Wheels (SSWL) is currently trading at Rs. 950.60, up by 31.00 points or 3.37 % from its previous closing of Rs. 919.60 on the BSE. The scrip opened at Rs. 921.00 and has touched a high and low of Rs. 951.00 and Rs. 921.00 respectively. So far 3074 shares were traded on the counter. The BSE group 'B' stock of face value Rs. 10 has touched a 52 week high of Rs. 999.00 on 28-Nov-2017 and a 52 week low of Rs. 540.00 on 30-Nov-2016. Last one week high and low of the scrip stood at Rs. 999.00 and Rs. 769.95 respectively. The current market cap of the company is Rs. 1474.73 crore. The promoters holding in the company stood at 56.75 %, while Institutions and Non-Institutions held 2.55 % and 40.69 % respectively. SSWL has bagged fresh exports order for its Truck wheels plant in Chennai. The total order size is close to 6,000 truck wheels to be supplied over period of 12 months. Supplies will begin from December 2017. The company is in advanced stage of discussions to finalize long term contracts with multiple European customers and expects to close them by early next year. It has already marked its entry in the high potential Truck and Trailer Steel wheels market in EU and aims to strengthen it in near future. 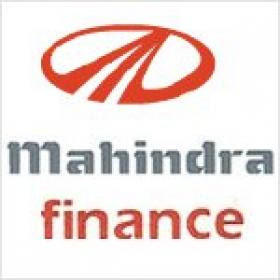 Mahindra & Mahindra Financial Services has received an approval to issue 2,50,00,000 Equity Shares of face value of Rs 2 each at a price of Rs 422 each aggregating to Rs 1,055 crore, to Mahindra & Mahindra, the holding company (the Promoter). The Securities Issue Committee of the company at its Meeting held on November 29, 2017, approved the same. Mahindra & Mahindra Financial Services is one of India’s leading non-banking finance companies. 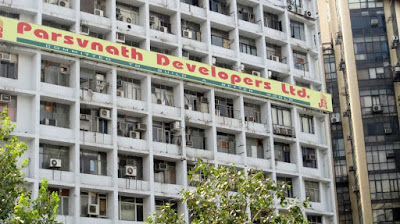 An arbitral tribunal has upheld Parsvnath Developers’ claim of Rs 1,034 crore in a dispute with Rail Land Development Authority (RLDA) related to a project in the national capital. RLDA has been directed to pay this amount, along with 4 per cent interest rate from July 15, 2015 till the payment date. Parsvnath Developers has diversified portfolio, which includes, integrated townships, group housing, commercial complexes, hotels, IT parks, among others. 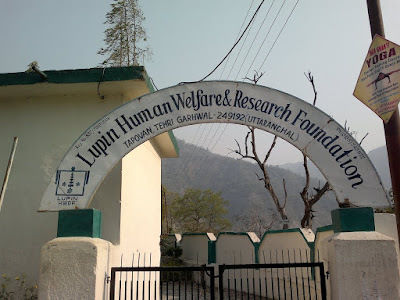 Lupin Human Welfare and Research Foundation, part of pharma major Lupin, is planning facilitate opening over 2 lakh bank accounts through its financial inclusion programme in rural areas by 2020. As part of the initiative in partnership with State Bank of India, the company will provide banking solutions to the poor and farmers at its kiosk centres spread across Rajasthan. Since 2010, the foundation has opened 2.4 lakh SBI bank accounts by sending its banking correspondents to about 495 villages. Yes Bank has launched a knowledge series for Top Executives and Promoters of Small and Medium Scale Enterprises in partnership with Rajasthan Chamber of Commerce and Industry on November 24, 2017 in Jaipur. The event strives to help local entrepreneurs scale their businesses for global audiences and gain competitive advantage. The ‘Scale-up’ Knowledge Series is designed to focus on equipping SMEs with information about resource planning and management of challenges associated with scaling up, more so, in the context of the tectonic shifts taking place in global commerce due to rapid changes in technology and a dynamic geo-political and regulatory environment. 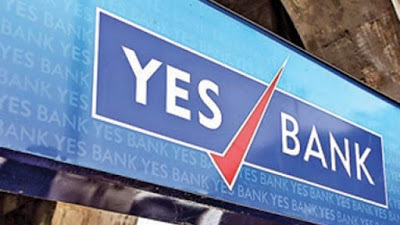 Yes Bank is India’s fifth largest private sector Bank with a pan India presence across all 29 states and 7 Union Territories of India. Ramco Systems is currently trading at Rs. 441.55, up by 0.55 points or 0.12% from its previous closing of Rs. 441.00 on the BSE. The scrip opened at Rs. 439.00 and has touched a high and low of Rs. 443.45 and Rs. 423.70 respectively. So far 2686 shares were traded on the counter. The BSE group 'B' stock of face value Rs. 10 has touched a 52 week high of Rs. 467.95 on 02-Nov-2017 and a 52 week low of Rs. 286.00 on 15-Dec-2016. Last one week high and low of the scrip stood at Rs. 456.00 and Rs. 411.00 respectively. The current market cap of the company is Rs. 1338.75 crore. The promoters holding in the company stood at 54.89%, while institutions and non-institutions held 23.49% and 21.62% respectively. Ramco Systems clinched awards for its Human Capital Management (HCM), Global Payroll and Talent Management software at the 2017 HR Vendors of the Year Awards held in Singapore, Malaysia and Hong Kong. The company beat global vendors to win three Gold, three Silver and a bronze award. Ramco Systems is a leading software company focused on consulting, product and managed services business. The company focuses on providing innovative business solutions that can be delivered quickly and cost-effectively in complex environments. GlaxoSmithkline Consumer Healthcare has reportedly cut the price of malted food drink Horlicks by nearly 5% for a 500-gm jar, while the price of 500-gm Boost has been cut by 4%. This step has been taken in order to pass on the benefits of the recent reduction in GST rates to the consumer. GlaxoSmithkline Consumer Healthcare’s core business is manufacturing of health drinks under the brand Horlicks. It exports products to countries like Bangladesh, Myanmar, Sri Lanka, Middle East, Fiji, Mauritius, Nepal, Bhutan and many more. South Indian Bank is currently trading at Rs. 32.80, up by 1.35 points or 4.29% from its previous closing of Rs. 31.45 on the BSE. The scrip opened at Rs. 31.75 and has touched a high and low of Rs. 32.90 and Rs. 31.15 respectively. So far 20,51,000 shares were traded on the counter. The BSE group 'A' stock of face value Rs. 1 has touched a 52 week high of Rs. 33.30 on 25-Oct-2017 and a 52 week low of Rs. 16.83 on 26-Dec-2016. Last one week high and low of the scrip stood at Rs. 32.90 and Rs. 30.85 respectively. The current market cap of the company is Rs. 5,923.00 crore. The Institutions and Non-Institutions held 50.17% and 49.83% stake respectively, in the Bank. Cyquator Media Services has proposed to acquire 1,00,000 shares of Zee Entertainment Enterprises, on December 06, 2017 or any day thereafter within a period of 90 days by way of on-market inter-se transfer of shares amongst the promoter group. 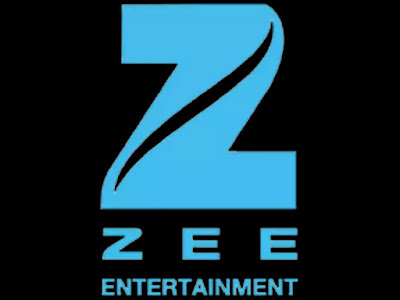 Zee Entertainment Enterprises is one of India’s leading television media and entertainment companies. It is amongst the largest producers and aggregators of Hindi programming in the world. Loyal Equipments has received Purchase Order worth Rs 270 lakh from Linde Engineering India for Supply of Complete skid package for Keys CO2 Project of Keys, California, USA. 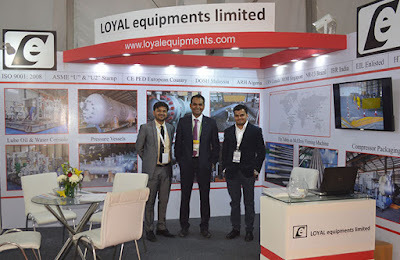 Loyal Equipments is engaged in manufacturing and supplying of Coded Pressure Vessels & Heat Exchangers (Ferrous & Non Ferrous), Air Cooled Heat Exchangers, Skids for Dynamic and Static Machineries, Base-Plates, Sterilizers, Chimneys and Columns, Tanks & Receiver etc. Muthoot Finance is currently trading at Rs. 458.95, up by 4.25 points or 0.93% from its previous closing of Rs. 454.70 on the BSE. The scrip opened at Rs. 456.10 and has touched a high and low of Rs. 461.65 and Rs. 455.40 respectively. So far 9553 shares were traded on the counter. The BSE group 'A' stock of face value Rs. 10 has touched a 52 week high of Rs. 525.80 on 13-Sep-2017 and a 52 week low of Rs. 261.05 on 22-Dec-2016. Last one week high and low of the scrip stood at Rs. 468.90 and Rs. 446.70 respectively. The current market cap of the company is Rs. 18340.11 crore. The promoters holding in the company stood at 73.70%, while institutions and non-institutions held 22.40% and 3.90% respectively. 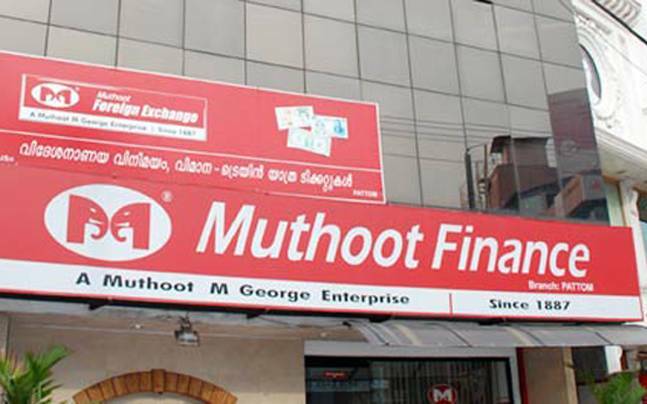 Muthoot Finance has launched a new loan scheme targeted at Small and Medium Enterprises (SME) for their working capital requirements. Gold loans above Rs 10 lakh would be provided at an interest rate of 12 per cent per annum. The loan would be available through all 4,200 branches, including 487 in Karnataka. The new gold loan scheme is a unique offer, which will benefit all sections of clientele. The company is expecting to grow its customer base in this high ticket loan category from the current 4 per cent to 10 per cent by June 2018. 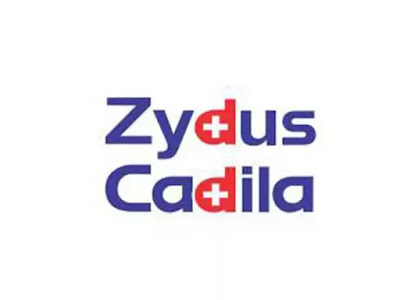 Zydus Cadila has received the final approval from the United States Food and Drug Administration (USFDA) to market Candesartan Cilexetil and Hydrochlorothiazide Tablets USP in the strengths of 16 mg/12.5 mg, 32 mg/12.5 mg and 32 mg/25 mg. The drug combines an angiotensin II receptor (type ATI) antagonist and a diuretic, hydrochlorothiazide and is used to treat high blood pressure (hypertension). Lowering high blood pressure helps prevent strokes, heart attacks, and kidney problems. It will be manufactured at the group's formulations manufacturing facility at Moraiya, Ahmedabad. The group now has more than 175 approvals and has so far filed over 310 ANDAs since the commencement of the filing process in FY 2003-04. What is BITCOIN ? Can You Trade BITCOIN in India?